Hey friends! Happy Monday. So I've been wanting to do this post for a while. I'm really seeing some things happening for New Adult fiction (characters in fiction between the ages of 18 - 25) right now, and I feel they should be discussed. So to do this post, I had to do some research...and go on a little field trip. On to my local Barnes and Noble! We don't need one more category clogging up our bookshelves! Hmm... Are these bookstores really clogged??? Are they??? World History is a bit bare at the moment. And my goodness, does the Travel Pictorial section really need to have the books facing forward like that? Look at all that space! So obviously this is MY BN, but you see where I'm going with this. There is clearly some extra space for at lease ONE little incy wincy New Adult shelf. Just a little one. Doesn't have to be huge. Don’t write NA. You’ll never get published. So besides the fact that Carrie stated that myself, she herself, and fellow NA Sister Juliana Haygert have all recently had one of our new adult works contracted, I decided to hit up BN and get the skinny to see if these books really are being published and hitting the shelves. Meet one shelf of the BN New Teen Fiction section in my local store. There are some there, my friends!!!!! Oh, and those four are just the ones I knew off hand that day. Through research, I discovered at least 4 - 6 more books on this shelf were 18-year-old characters in their final week of high school, or on summer vacation between high school and college. Oh, and lets not even get started on all the NA I found on all the other shelves. I would have been in there all day snapping shots. 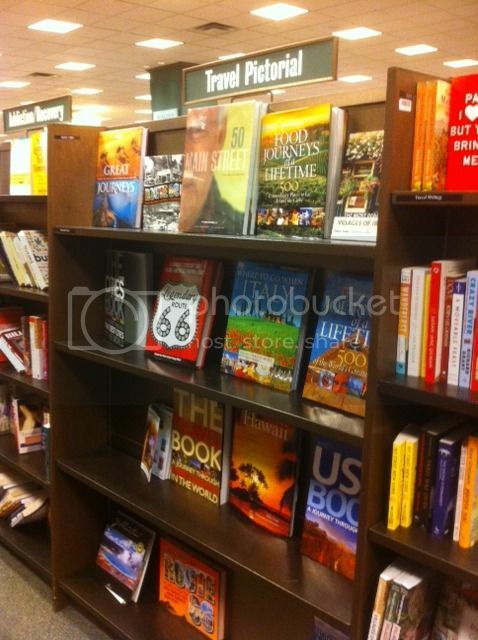 What this picture also shows is how hard it would be for the average reader to find those four books. I knew they were NA because I'm a NA freak and always try to stay current on NA books, but what about the people who don't? What about the causal Barnes and Noble shopper? They would have no idea those books were NA by just browsing the covers. College Students Don't Read, So Why Publish These Books? I decided to end this post by adding my own misconception to supplement Carrie's. Somehow this weird misconception started going around that college students don't have time to read fiction so they aren't. Um? Who in the world has talked to every single college student in the world and asked them that question? I know I'm in grad school and still have time to not only read a book a week, but write them as well on top of doing my school work. The YA Rebels also discuss this misconception here. Also, who in the world said only college students should read fiction about college life? How many of you have read Harry Potter? Are you in middle school and high school still? How many of you have read Hunger Games? Are you seventeen? Because Katniss Everdeen, the heroine of the Hunger Games, sure is so that means you're the only age who can read that book. So to further prove that many audiences are in fact reading these books. Here we go! Here we have the infamous Fifty Shades series. Say what you want about it, but this series a selling powerhouse right now. It dominates this NYT Best Sellers list, USA Today's Best Selling List, and also Amazon.com + BN.com sales at the top positions. It has done so for weeks, and guest what? It's about a COLLEGE student. She's TWENTY-ONE, my friends. And the material does indeed have a NA voice. What? You want a read less spicy? Here were go! Colleen Hoover's Slammed Series has been on NYT, USA Today's, Amazon, and BN's lists as well. And for WEEKS. Also, great NA reads. Some other NA authors with NA books dominating Amazon's Top 100 Selling eBooks List right now? NA self published authors who's books were doing so stinkin' well they were recently picked up by major publishing houses within the last 3 months? So obviously some one is reading these books. May not be college students (a lot probably are ;D), but someone is reading them. Now, I would like to ask you: What do you think about this NA trend? Are you seeing the same happenings in the fiction reading world, as well? Let me know your thoughts below! Thank you for the shout-out, my friend! <3 I love this post. The photos really drove the point home! I just don't get why some people act like New Adult is never going to happen, or refuse to even try anything to do with it. Kind of sad, really. I'm sure every single genre once faced these issues; there was once a time when Young Adult didn't exist as a category, now it's hard to imagine bookstores without it. All we need is to keep shooting for it.... and patience. We need patience too. I agree Mason. I think people are just scared for the change, but it will happen and hopefully when it does people will embrace the change :D Having more options will only make finding what we as readers want when looking for a book that appeals to us! Pffft. I read a ton of novels while I was at university (and I still had pretty good grades :P ) Tons of college students do NaNoWriMo and I have a feeling that the majority of NaNo participants also read novels as well as write them! This may be specific to genre fiction fans, but when I was 14 I transitioned from reading MG novels straight to the sci-fi/fantasy section of the bookstore, I read Isaac Asimov, Tolkien, Mercedes Lackey. I almost missed reading Garth Nix's Abhorsen trilogy because it was kept in the YA section instead of sci-fi/fantasy. The trouble, for me, with division by age group was I didn't like slogging through the contemp (not my cup of tea at 16 ;) I've warmed to it now) to find the sci-fi/fantasy in the YA section, lol. I have no idea how feasible it would be, but I wouldn't mind seeing the "science fiction/fantasy/horror" section divided into YA, NA and Adult. Especially because some things, like Kate Elliott's Spiritwalker Trilogy have an NA vibe but I've seen it in the Adult section. I've seen and heard a lot about NA. I have several friends who write NA. I think we are going to see a lot of genre blends. Maybe series that go from MG age to high school, even to college.